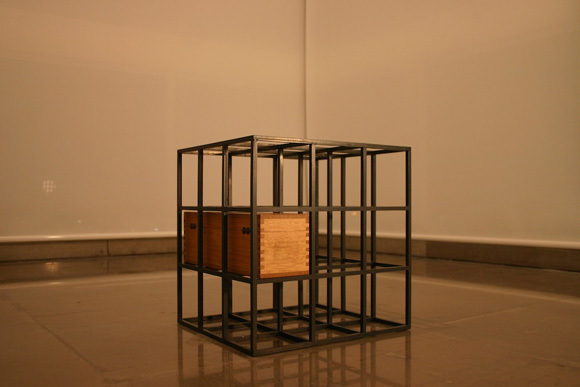 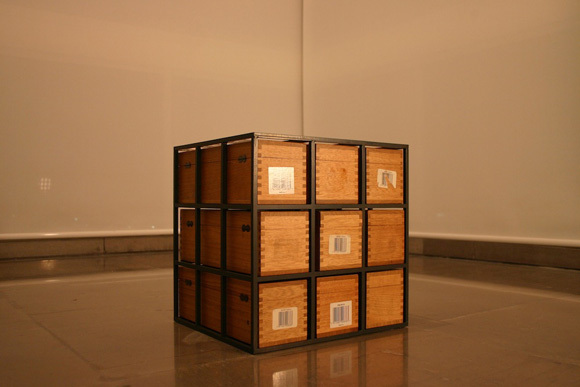 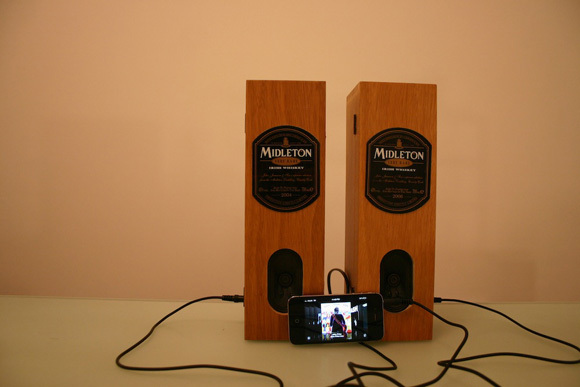 The creation 'Midleton Metamorphosis' was commissioned as a unique piece based on an adaptation of a private collection of empty Midleton whiskey boxes. 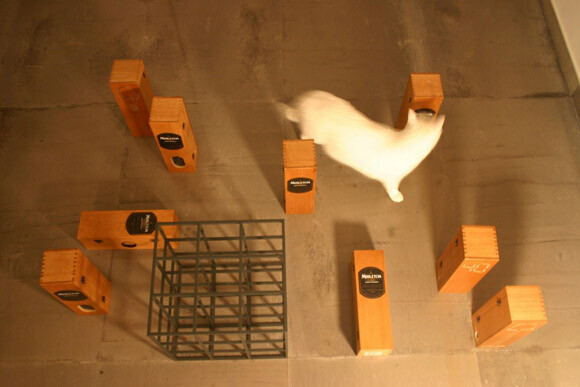 The Irish designer, Dara McPhee, selected to recreate the boxes as individual functional elements ensuring a playfulness and dynamism that would not have been possible in a single unit creation. 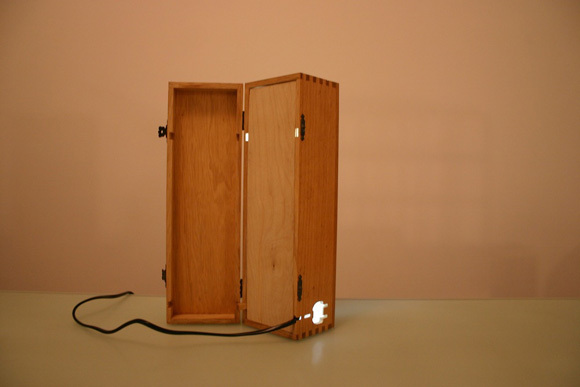 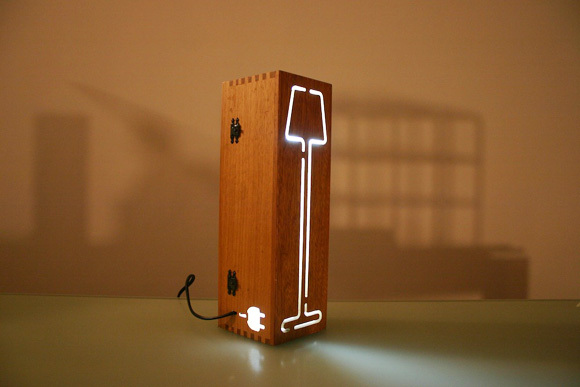 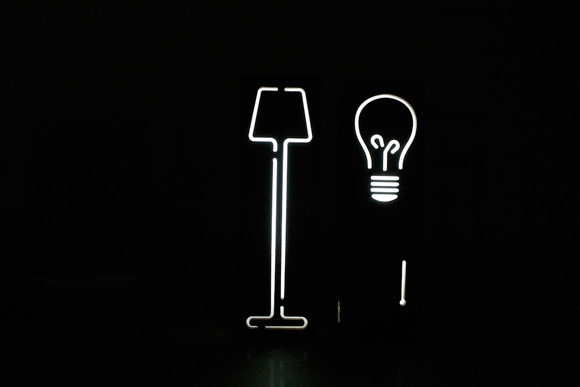 The piece consists of a collection of lamps, speakers and a jack in the box with each box sliding into a metallic frame. 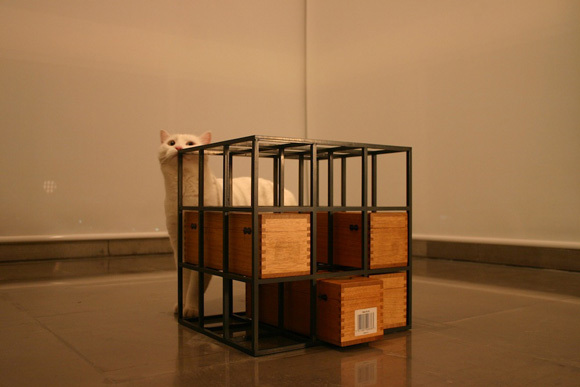 The result is a series of interactive functional 'toys' framed within the metal lattice. 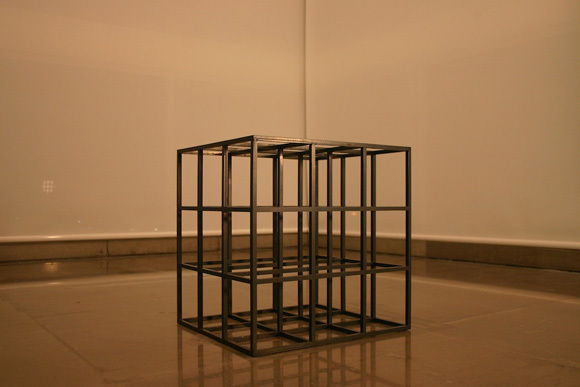 Each element can be used individually without disturbing the overall aesthetic impression of the complete lattice.